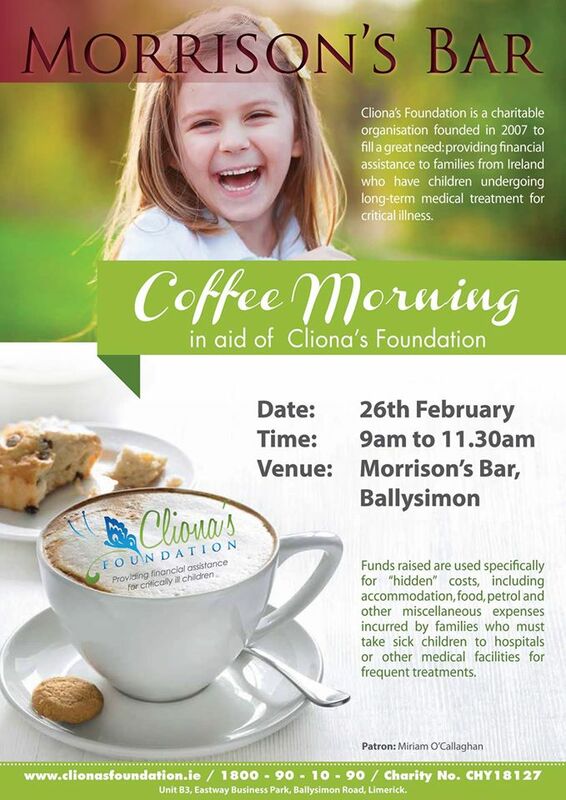 Thank you very much to Morrison’s Bar, Ballysimon, Limerick who are very kindly hosting a coffee morning for Clionas’s Foundation on Thursday the 26th of February between 9am and 11.30am. Morrison’s are hoping to raise enough money to be able to fund one of the applications from struggling families that we have received recently. Please come along and show your support.